Over in Radiator Springs, the Curios shop is bizarre even on a normal day. 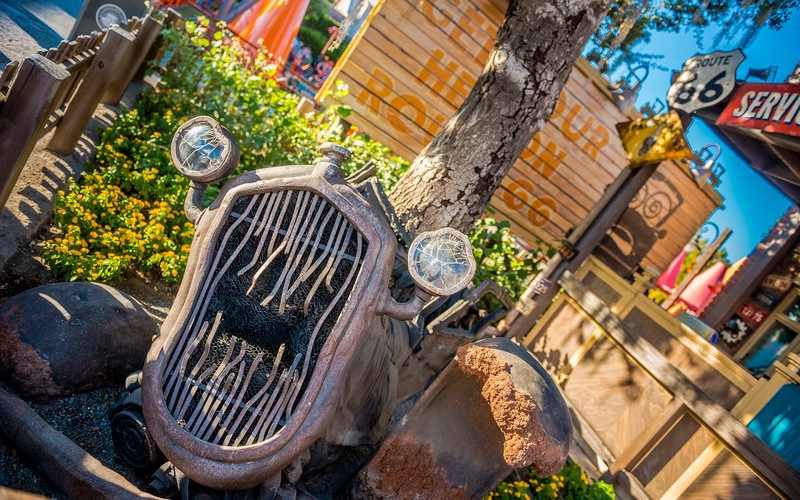 But come "Haul-O-Ween" time, things can get downright spooky and macabre, especially when a zombie car manages to wrap itself through a tree. Normally, that impalement would kill any being, but not the zombie car. It still sputters and spurts here and there, trying to free itself from its predicament. It probably won't happen till November 1st, but I commend the car for the effort!